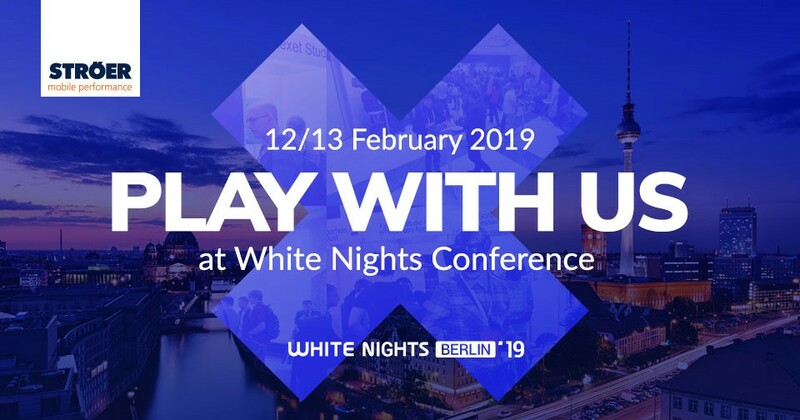 Two days packed with insights from industry leaders and a lot of networking opportunities, that is the allure of White Nights Conference in Berlin. Our team will be at the InterContinental hotel for both days of the action on 12/13 February. Meet Rafael de Carvalho and Paolo Zappalà from our Berlin team during the event that promises to be one of the highlights of the industry with a gaming focus. Of course, you should use the opportunity to speak with Rafael and Paolo as we have great new announcements for the months coming up. As app marketing experts that know how to grow audiences in a meaningful, performance-focused way, we offer proven ways to combine quality and scale in app marketing. Meet our team at White Nights Conference – click to book a meeting! App Annie’s Silvia Buermann will kick off day 1 of the event with an overview of the mobile gaming industry and a specifically close look at Europe and Germany. Google’s Tobias Knoke is set to talk about the value of influencers as a channel to gain gaming audiences. Despite a spend of 250 million USD per year by developers, little is known about the value of this investment. The big new category of games is very easy to play anywhere, anytime. Find out more about hypercasual gaming – the data, the market, the biggest players as Lukas Miadowicz from Huuuge Games takes the stage. On both days, we’ll be on-site to meet with you and discuss how Ströer Mobile Performance can help put more precision in your mobile gaming app marketing. Book your meeting with Paolo and/or Rafael here.